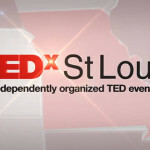 Your St. Louis Weekend Event Guide from Thursday, January 9th through Sunday, January 12th. 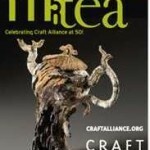 Fif-TEA: Craft Alliance is celebrating it’s 50th Anniversary. The kick-off celebration is a grand opening of the biennial teapot exhibition, which has been a hallmark of their exhibition series, drawing overflow crowds of enthusiastic viewers, capturing the interest of collectors from across the nation, and providing a platform for the teapot as an art form that is recognized in art schools, and galleries throughout the US. The exhibition runs until March 23rd. 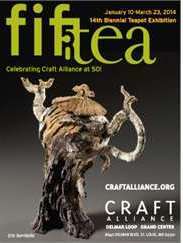 You can also Meet the Teapot Makers on Saturday, January 11th at 2:30pm. This event is free. Cabin Fever: The annual outdoor winter beer festival at Schlafly Bottleworks that features their strongest Schlafly beers. Enjoy music from The Foggy Memory Boys featuring Gary Hunt. Admission includes a commemorative tasting glass and 18 two-ounce samples of Schlafly Beers. Come in and warm up. 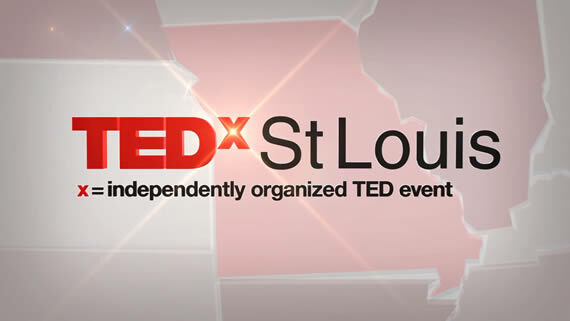 You can purchase tickets at Schlafly or online for $25. 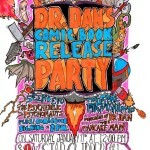 Dr. Dan the Pancake Man’s Comic Book Release: Daniel Drake will be releasing his first volume: Gorgozord Vol 1. His comic tells a story through flyers made to promote the Psychedelic Psychonauts’ shows around St Louis during 2012. The choose-your-own-adventure narrative was guided by the decisions of fans at those shows and the first installment is now ready to be published. 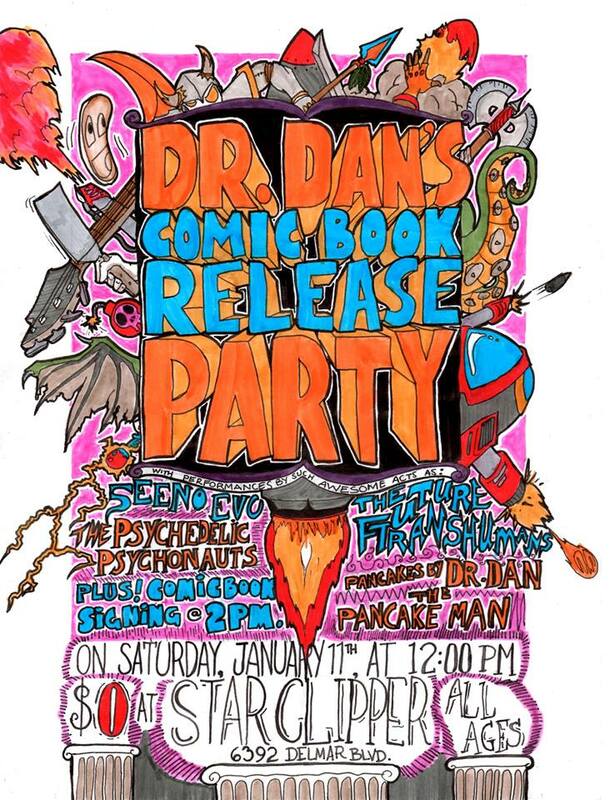 In addition to the comic book release, Dan will make some of his world famous “dancakes” in store! At 5pm, The Future Transhumans will perform followed by The Psychedelic Psychonauts. 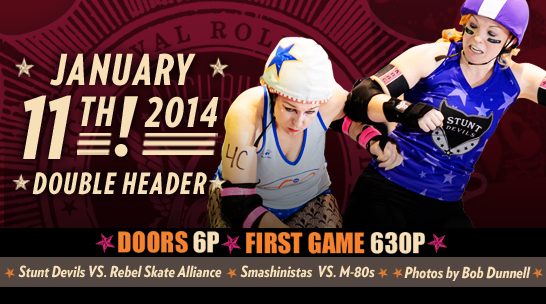 Arch Rival Roller Girls: Check out your fabulous St. Louis Roller Girls Derby League at their first bouts of 2014. This Saturday will be a Double Header. 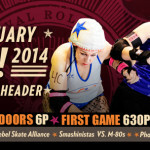 The first bout is The Stunt Devils vs Rebel Skate Alliance at 6:30pm, followed by the M-80s vs Smashinistas. Tickets are $12 in advance or $15 at the door. 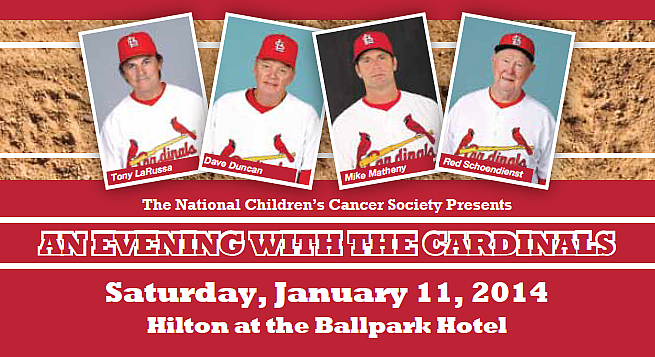 An Evening With The Cardinals: Presented by The National Children’s Cancer Society, join St. Louis Cardinals former manager Tony LaRussa, current manager Mike Matheny, St. Louis Cardinals Hall of Fame player, coach and manager Red Schoendienst and former pitching coach Dave Duncan as they participate in an engaging evening of discussion and reminiscing about the Cardinals and Major League Baseball. Dan McLaughlin of Fox Sports Network will serve as emcee and host a moderated question and answer session. 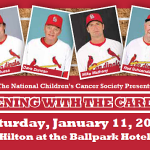 The evening will also include a silent auction featuring one-of-a-kind memorabilia. U Can Dance Studio Dance Party: Ever wanted to learn a new dance style or improve your skills? Well now you can at the first studio dance of 2014. Tickets are $8 at the door. Come out for some fun entertainment. If you are looking for something new to do in 2014, check out some of their dance classes options: ballet, tap, jazz, hip hop, freestyle, and tumbling. 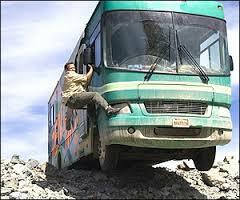 RV Vacation & Travel Show: If you’ve seen National Lampoon’s Vacation, RV with Robin Williams, or We’re The Millers, then you know you’ve wished to hop in an RV and go on an awesome adventure where you meet ridiculously crazy people, almost die (several times), and bond. Now you can! 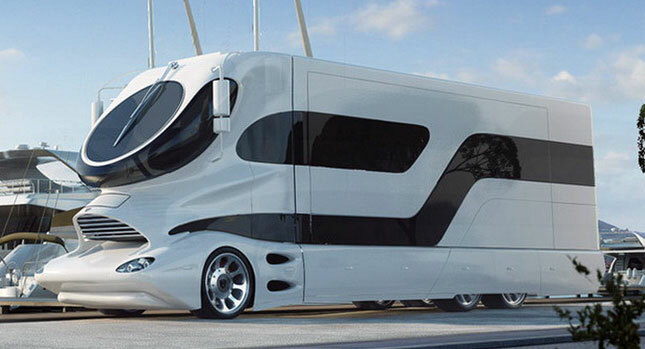 The RV Show is coming to St. Louis this weekend. Show visitors can view over 300 units, including Motorhomes, Sport Trailers, 5th Wheel Trailers, Travel Trailers, Folding Camping Trailers, and more. 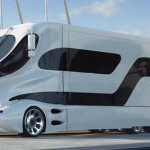 Pus, learn about campgrounds, resorts, travel destinations, service booths and featured products. Admission is $9.